The most convincing part of the story is that NASA kept trying to withhold information, infiltrate the alternative research groups, sabotage researchers by multiple releases of images (to claim that Hoagland and others were faking their image analysis). Sound familiar? My attention was piqued by Hoagland’s report that in July 1969, the Apollo 11 mission had just left the moon and was headed back to Earth, there was yet another press conference at the Jet Propulsion Lab (JPL) in Pasadena, CA …. the JPL press secretary was leading someone around the auditorium, and that person was putting mimeographed sheets on each and every seat before people arrived …. what did those sheets say? That “the moon landing was a hoax” … wtf? All witnessed by Richard Hoagland who at the time was just hanging around the auditorium, waiting for the press conference to begin. I read this book as a follow up to Joseph P Farrell’s 2016 book “HIDDEN FINANCE, ROGUE NETWORKS AND SECRET SORCERY: The Fascist International, 9/11, and Penetrated Operations ” who detailed the evidence for a third level of the deep state that may have used a directed-energy weapon on the Twin Towers to pulverize tons of concrete into 100 micron sized granules, apparently there were hardly any pieces of concrete at the 911 site that were bigger than piece of gravel. Farrell recommended Chapter 2 of Hoagland’s book for a discussion of torsional physics, Maxwell’s ‘suppressed’ equations and hyper-dimensional math … it was a tough slog for me, but well worth the attempt to understand these issues, and the most accessible explanation I have encountered so far. But the REALLY WEIRD aspect of both books, Farrell’s and Hoagland’s, is the constant evidence of occult influences, that continue to reference 19.5 degrees, 33 degrees as these designations are relevant to the hyper-dimensional (torsion) physics, as well ancient Egypt, Isis/Sirius, Osirus/Orion and Horus. Buzz Aldrin prominently displayed his Freemason’s ring in photos while on the moon, brought a Freemason Flag and apron with him, which was presented to a Freemason order upon his return to Earth. Note the Freemason flag on the book cover (see image below)–Hoagland exercising his artistic license.. Also of interest, the Face on Mars may be half-human half-lion — like the Sphinx? and encountered in virtually every shaman practice on Earth since time immemorial? The upshot? Moon landings, insertions into Mars orbits, landings on Mars, release of images about Mars …. usually happened when Orion or the star Sirius was at 19.5 degrees above the horizon of the moon or Mars. The entire Cydonia region of Mars is like a Rosetta stone of references to 19.5 degrees, because this a key component of understanding the tetrahedral geometries of hyper-dimensional physics — it is like a message to those of use on Earth, understand this and you will have access to hyper-dimensional travel — faster than rockets, much faster. 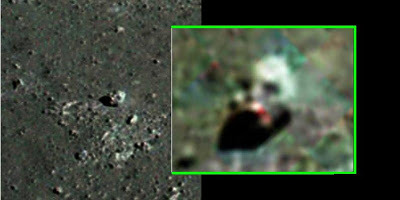 Incidentally, the term Cydonia “derives from a Greek root meaning “enlightenment”– or, in this context “… to illuminate the True History of All Mankind.”(p. 408) Wkipedia says the name was assigned due to the albedo effect–the reflection of light off the surface of that area of Mars. This part of Mars was named Cydonia in 1958 by the International Astronomical Association (see link below) … according to the Freemasons, the ‘Sidonians’ were the Master builders of biblical times using sacred geometry. Hmmm …. again with the Freemasons???? Be warned that Hoagland recounts 30 years of internecine harassment and conflict between himself, NASA reps and other alternative researchers. This book is meant to be a complete account of everything he has had to say to his critics …. if you read it for detail, you will be introduced to more information about multi-spectral infra-red imaging from a THEMIS camera than you ever wanted to know. I first encountered Hoagland in 1993 at a UFO conference at the Hyatt Hotel in Bellevue, Washington State, a conference probably sponsored by a Microsoft billionaire (Paul Allen?). At that time, I could not make sense of any of Hoagland’s images. In 2010, Steven Greer hosted Richard Hoagland at the Rio Rico conference… this is when I first began to re-consider Hoagland. Like Greer, Hoagland has had access to a few NASA insiders who were willing to leak what they knew. I recall that Terry Hansen (his seminal book: The Missing Times) wanted to write a book critical of NASA. Looks like Hoagland started the job. … it will probably have something to do with ‘ETs’ stopping a human ‘space mission’ from trying to get to the moon or Mars. We all need to be familiar with the evidence of an advanced civilization on both bodies that has been hidden in plain sight … for those willing to look. Okay, here is an artist’s enhancement of the Face on Mars – a man/lion composite …. the actual Mars image is on the left, the artist’s enhancement on the right. A fractal analysis is something that determines “natural” geology patterns. In the 1970s, the fractal analysis was done with the very first images from the Viking spacecraft. Parallel straight edges (east/west) at the pediment of the monument are NOT natural, rounded edges that mirror each other (top and bottom) are NOT natural and a flat bench that goes most of the way around the pediment is NOT … a natural geological formation. If you want to read about ALL the anomalies related to the moon…it is hollow, it rang for three hours when struck by a vehicle, it has heavy metals on the surface (i.e. uranium 236 and neptunium) when these metals do not occur in nature but are the result of nuclear reactions, plus all the craters are of equal depth, as though meteors hit the surface but reach a barrier about 20 miles down … rocks and dust on the surface of the moon are 5.3 billion years old, older than the 4 billion years of earth. But this documentary is fascinating: Moon Rising…all the photos of structures on the moon, that NASA has tried to hide. These images include the far side of the moon. This documentary takes the view that the artifacts are ruins from an ancient extraterrestrial civilization. Artificial structures on hte moon — hidden in plain sight. It is intriguing that the Apollo 17 patch that took all the photos (1.8 million photos), had a Mission patch from 1994 that linked Stonehenge, the Sun and The Moon … ancient ruins. The narrator suggests links to Egyptian culture. Ordinarily, I would be loath to present ANYTHING by David Icke but I have to admit he did a pretty good job of presenting moon anomalies between the 1 hour mark and 1:29 mark. The rest of the Youtube is the usual David Icke nonsense.